UNMC › Psychiatry › About the Department › Faculty › Soonjo Hwang, M.D. Dr. Hwang specializes in child and adolescent psychiatry, especially pediatric population with disruptive mood and behavior disorders. He is a neuroscience researcher specializing in neuro-image and clinical trials. 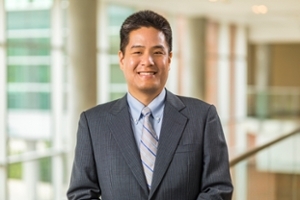 Dr. Hwang is a board member of the institutional review board of University of Nebraska Medical Center. For his clinical research he collaborates nationally and internationally, including Boys Town National Research Hospital, Department of Education in South Korea, University of California San Francisco, and National Institute of Mental Health.